With electronic components shrinking all the time, it’s a little surprising that we haven’t yet started embedding gadgets like mobile phones right into our bodies. 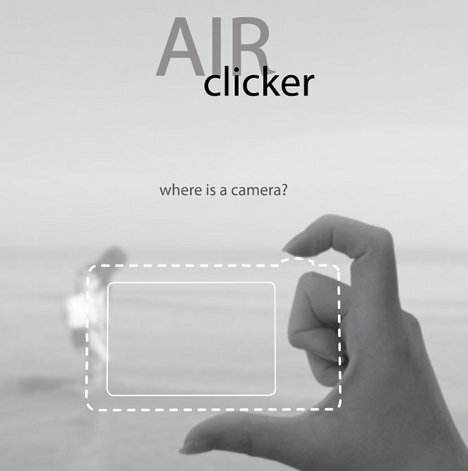 The Air Clicker camera concept does the next best thing by taking away all but the most essential elements of a digital camera and turning those elements into tiny wearable components, rendering the camera virtually invisible. 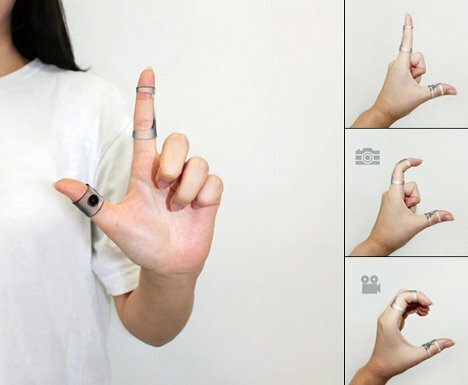 Designed by Yeon Su Kim, the Air Clicker consists of a miniature lens which is worn on the thumb and a barely-there shutter button that attaches to the forefinger. To take a picture, the user simply makes a gesture in the air as though she is framing a photo. Then by tensing the index finger as though pressing down on a shutter button, the user activates the camera to capture a picture. The picture is sent to a Bluetooth-connected mobile phone, which acts as an extension of the camera assembly. 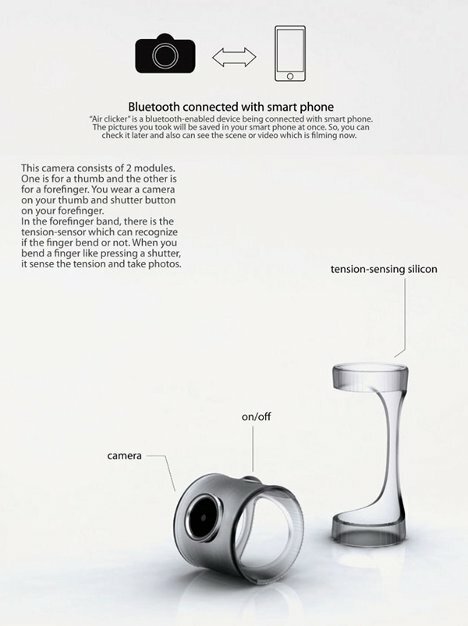 This very cool concept is still just an idea, but it’s easy to imagine it becoming a reality at just about any time. And judging from the incredible shrinking act being pulled by consumer gadgets these days, consumers will be poised to snap it up and then demand an even smaller version.